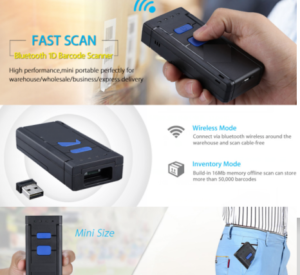 2.4G & Bluetooth Handheld Mini Barcode Scanner – Shenzhen Rakinda Technologies Co., Ltd.
Now barcode scanner is widely used in many areas. So there are many barcode scanner comes out for collecting barcode. There are wired wireless handheld barcode scanner gun, PDA, and so on. Some of them size is big or price is more expensive. So it is not easier to carry. Based on this situtaion, Rakinda developed new product, mini size 2.4G and bluetooth handheld barcode scanner RD681. 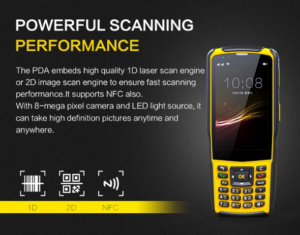 It can be compatibale with operating system Android, IOS and Windows.Both of us know, now most of barcode scanner that can not compatiable with IOS system. But our RD681 can be compatiable. 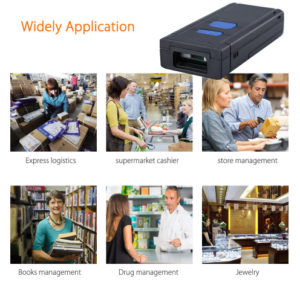 So it can widely used in Express logistics, supermarket cashier, store management, books management, drug management, jewelry management and so on. A variety of bar code scanner modules that Rakinda Technology can provide and easily to be embedded . As Rakinda Technology has more than 18-year manufacturing experience for bar code scanner, which already has professional research and development team. More details , pls contact us! 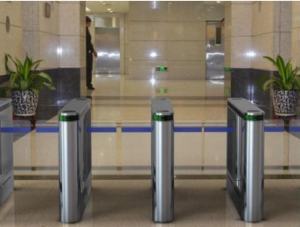 Shenzhen RAKINDA Technology Co., Ltd. is specialized in the development of smart card hardware and software systems, production, sales and operations in one of the national high-tech enterprises. Products are widely used in city card, park area, retail businesses, parking fees, government platforms and other consumer areas. With years of focus on management, innovation and development, the company in the industry. It has a wide range of customer base and industry reputation, to achieve the city card applications and urban bus intelligent scheduling management.RAKINDA engaged in barcode technology research and development for more than 18 years, we have a mature R & D team and overseas markets, we can help you quickly and easily realize unattended dream.